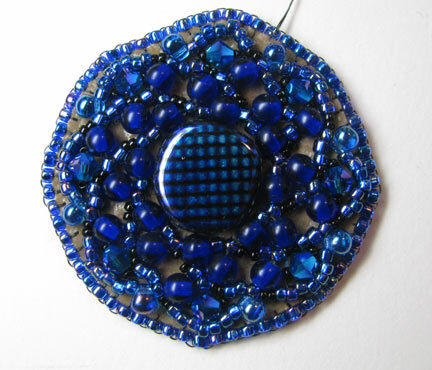 This month I worked on adapting the Russian Spiral for the Bead Journal Project! 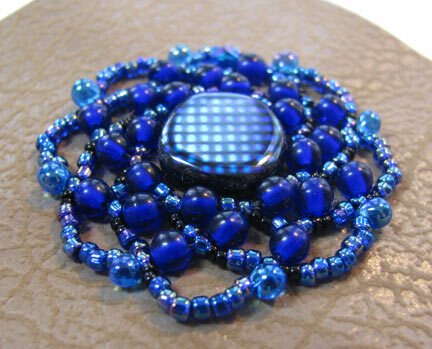 In the April 2012 issue of Bead and Button, Wendy Lueder showed a flattened version of the stitch which she stitched into beautiful bead woven components that she stitched together into a chain. With her idea to get me going, I worked out the bead count and figured out how to adapt it for a bead embroidery bezel. What a beautiful design, and I love the variations of blue. Thank you all...I'm really hot on blue this year!